Years ago, the Canadian government sold off tracts of land – including small islands – to private buyers. With strong public support, non-profits and the Government of Canada are now putting this land back in the public domain. 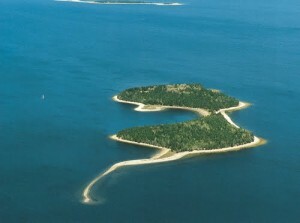 Island have also been donated to the public, or given as conservation easements, where the island is protected, but use of the island is still permitted by the owners, who retain the title. 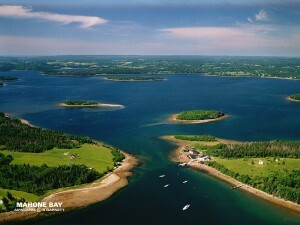 In a lauded show of generosity, the Zimmerman family, owners of the 300-acre Great Island and the smaller Selig Island, made a heavily discounted sale of both properties to The Nova Scotia Nature Trust in July of 2010. As of last year, the Trust had placed more than 5,000 acres of forest and coastline under its care. In St. Margaret’s Bay, a gorgeous area with a multitude of small islands, the 27-acre Little Gooseberry Island was recently placed under a conservation easement by the Lindsay Family. These many conservation-minded island purchases are part of a wide-scale effort on the part of Nova Scotia and its inhabitants to return what once was lost, back to the broader community. Islands form only a tiny portion of the recent total land purchases, which, among others, include a large swath of 65,000 acres from JD. Irving Ltd. in 2010, following in the path of other large purchases over the last few years. On March 22nd the Government of Canada announced a new acquisition of 4,400 acres across the province, including a small island. And the groups are numerous, with diverse mandates – Buy Back Nova Scotia is a group dedicated specifically to bringing land owned by JD Irving Ltd, one of North America’s largest landholders, back to the public. Many local areas – like Bras D’Or, Mahoney Bay, and St. Margaret’s Bay – all have vibrant public action groups, dedicated to preserving as much of Nova Scotia’s pristine beauty as possible. Hopes of bringing Nova Scotia’s wild lands back into the public domain has inflamed public passion to a degree seldom seen in other areas of Canada. It is no wonder, as this province hides an unexpected contradiction – while flying overhead, the land looks as untouched as a public park, yet according to Environment Canada, 70% of the lands are privately owned. Of the province’s island-strewn coastline, an estimated 90% rests in private hands. Nova Scotia’s nature-loving residents have finally seen an opportunity to change this, and they believe strongly that in the end, it will create a better and more liveable place for all.